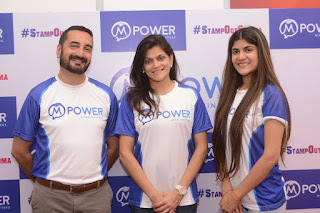 Mumbai, 26th May, 2016: With a mission to create awareness on mental health in India, Neerja Birla along with daughter Ananya Birla, today announced the launch of Mpower Centre: in South Mumbai. Also, involved in this noble cause is Dr. Zirak Marker, a leading child psychiatrist who will help in building this holistic centre to create awareness and alleviate stigmas towards mental health. Mental health problems are likely to become a global disease in the 21st century. In India, one in five Indians and around 15 to 20 % of all children and adolescents suffer from mental disorders. For 20 million Indians, our country only has 3000 qualified mental health practitioners. Additionally, WHO predicts that 20% of India’s population will suffer from some form of mental illness by the year 2020. The Mpower Centre is a world-class, multi-disciplinary institute, providing assistance, accurate diagnostics, treatment, and support to children, adolescents, their families and caregivers. The centre aims to build a society that accepts, understands and supports people with mental disorders. The Mpower Centre team includes Child and Adolescent Psychiatrists, Social Workers, Clinical Psychologists, Community Health Workers, Child Psychotherapists, Occupational Therapists, Speech and Language Therapists, Special Educators, Educational Psychologists, as well as Art, Music and Drama Therapists. There will be a multi-disciplinary team providing a specialised service for children and adolescents with more severe, complex and persistent disorders. The Mpower Centre will be a single window operation to develop an effective model for child and adolescent mental health. The Centre acts as a support to parents, teachers, professionals, educationists or interested individuals, with information related to mental health conditions which will lead to a better understanding & awareness with regard to the same. The Mpower Centre will comprise wolrd class primary mental health workers, psychologists and counsellors working in GP practices, paediatric clinics, schools and youth services.